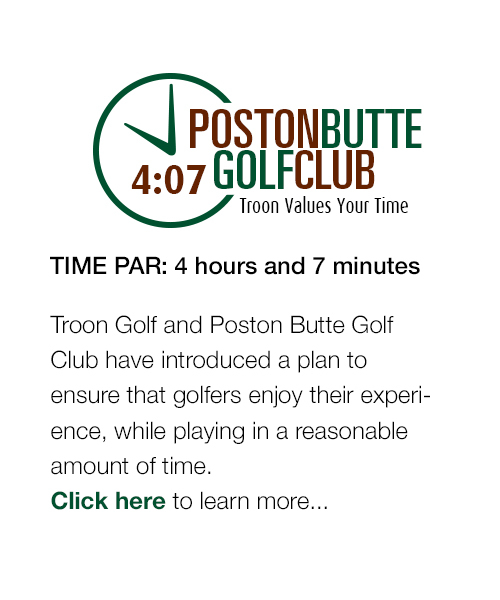 Golf lessons at Poston Butte Golf Club are offered by members of our professional staff. Individual lesons, lesson series, 9 hole playing lessons, and group lessons are available on a daily basis. In addition to our daily instructional programs, clinics are offered throughout the year. Please call a member of our professional staff at 520.723.1880 to set up your next lesson! Trackman and video analysis are available upon request. Professional clubfitting is available at Poston Butte Golf Club. Contact the golf shop to set up an appointment with our clubfitting specialists. We utilize the Mizuno fitting system with Shaft Optimizing technology. Call today! Clinics are available as requested. Contact Head Professional, Jerry Bellew to schedule your clinic. Is a clinic for beginners or the high handicap golfer. It is 4 days of instruction, 1 hour per day, where you will learn the fundamentals of the golf swing, the basics of putting, chipping, pitching and full swing with the irons and woods. Each session will focus on the various golf skills you will use while playing. This is for the more advanced golfer, or a graduate of Get Golf Ready 1. You will learn more about course management, etiquette and rules while on the course, along with reviewing the basics of putting, chipping, pitching and full swing. Please contact the pro shop if you are interested in one of these clinics. Minimum of 3 students, maximum of 8. Poston Butte Golf Club © 2019. All Rights Reserved.